To identify the pioneers of right anatomical hepatectomy (RAH), and clarify the development of associated operative procedures, concepts, and the future, we reviewed the “hidden” literature published in Eastern and Western countries since the 1940s. We searched the English and non-English literature on RAH through web search engines, text books and documents, and also referred to experts’ comments. Non-English literature, other than in Japanese, was translated. Changes in the anatomical concept, anatomical identification, vascular control technique, approaches, pre-operative management, and other aspects of RAH were analyzed. Honjo and Lortat-Jacob, in 1949 and 1951, respectively, reported the first cases of successful RAH; since then, RAH has been used in the treatment of liver malignancies worldwide. Vascular in-flow control is divided into intrafascial, extrafascial or transfissual access. The anatomical border along the main hepatic veins was proposed for transection, and anterior approaches have been suggested as alternative options in the hazardous situation of right liver rotation. In the laparoscopic era, several procedures and positions have been devised for RAH. 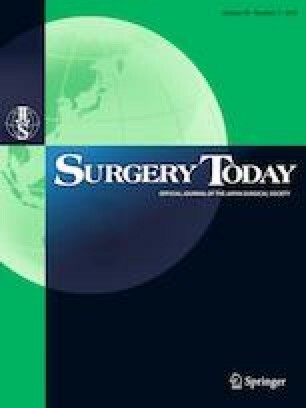 In summary, RAH and related anatomical hepatectomy have been established as treatment methods for 70 years, and the future of RAH includes new concepts, approaches, and techniques to optimize patient safety and disease curability. We appreciate the useful advice and suggestions given by Professor N. Kokudo and honorary professors T. Takada and M. Makuuchi. The international scientific advisers providing preliminary comments with respect to the liver section were Professor S.M. Strasberg (United States of America), Professor T.L. Hwang (Taiwan), and Professor C.M. Lo (Hong Kong) in the project titled “East Meets West 2017” presented at the joint congress of the 6th Asian-Pacific Hepato-Pancreato-Biliary Association and the 29th Japanese Society of Hepato-Biliary-Pancreatic Surgery held in Yokohama, Japan, in 2017. We gratefully referred to the historical review book written in Japanese by honorary professor, Y. Nimura, and published in 2017. We were able to keep in touch with the pioneering minds of prominent liver surgeons through the present project, and look forward to future innovations that will improve major hepatectomy. In the finale of this story, for liver surgeons of future generations, the significance of any reporting or transmission in English should be communicated worldwide. No financial support from any sources. We have no conflicts of interest to declare.